2017 has been quite the year. And with 2018 right around the corner, we put together a look back of some of the key moments from the past year. 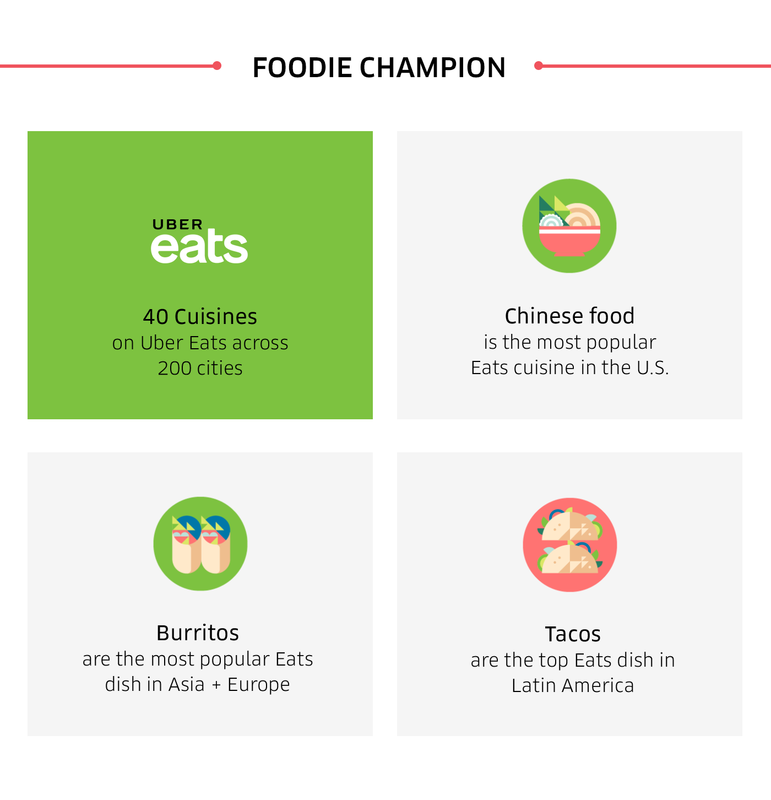 Every city wants to be known for something, and these US cities stood out for their unique rider (and eater) behavior. Sunny skies and sunny rides. 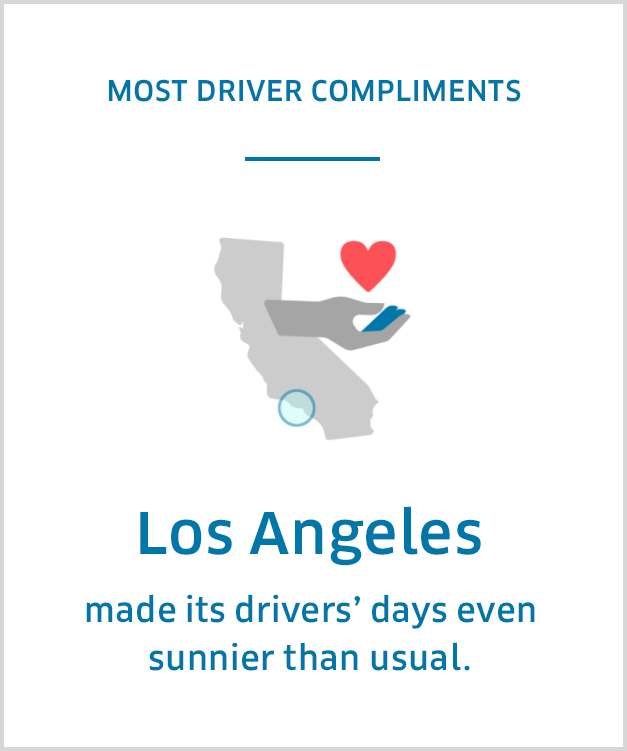 The riders of LA gave more driver compliments than any other city in the US. 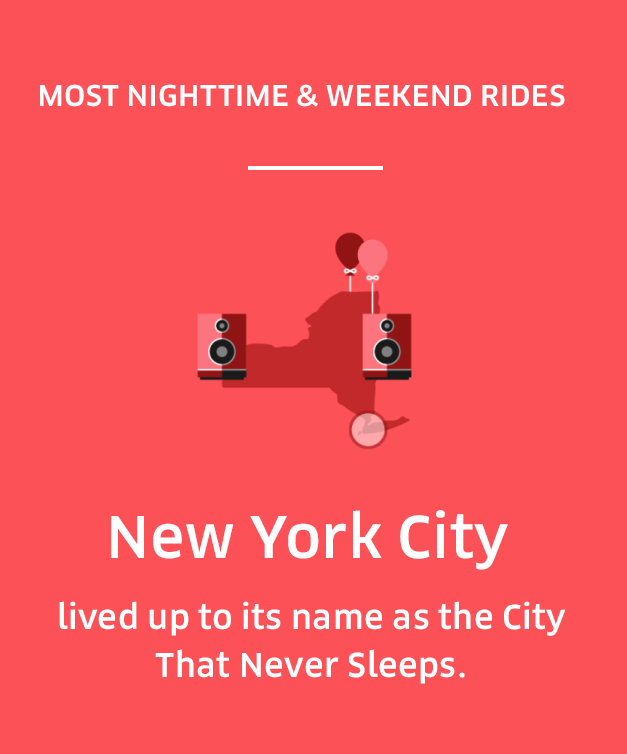 The City That Never Sleeps took more nighttime and weekend rides than any other city in the US. 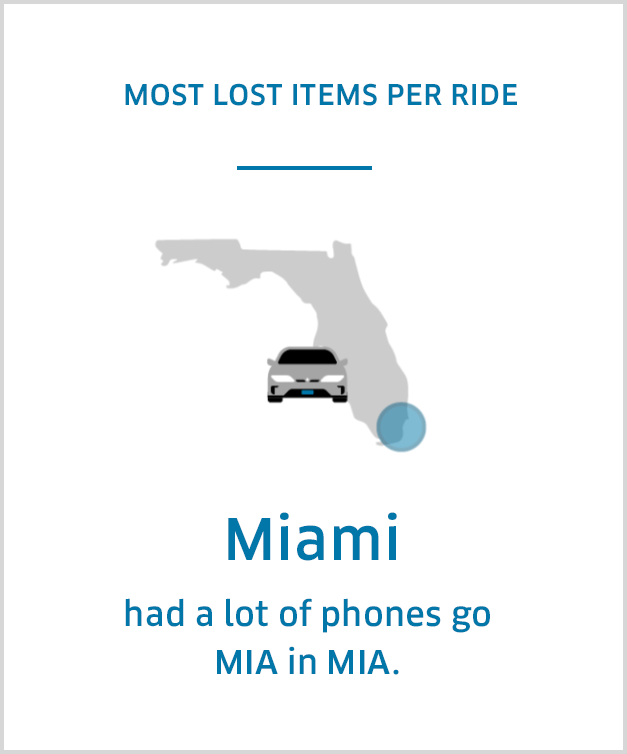 Miami reported more lost items per ride than any other city… Which means a lot of belongings went MIA in MIA. Did you know that Uber is available in over 600 cities around the world? That means that you can travel as far south as Chile and as far north as Alaska and use the same app to get around. Here are some fun facts from around the globe. 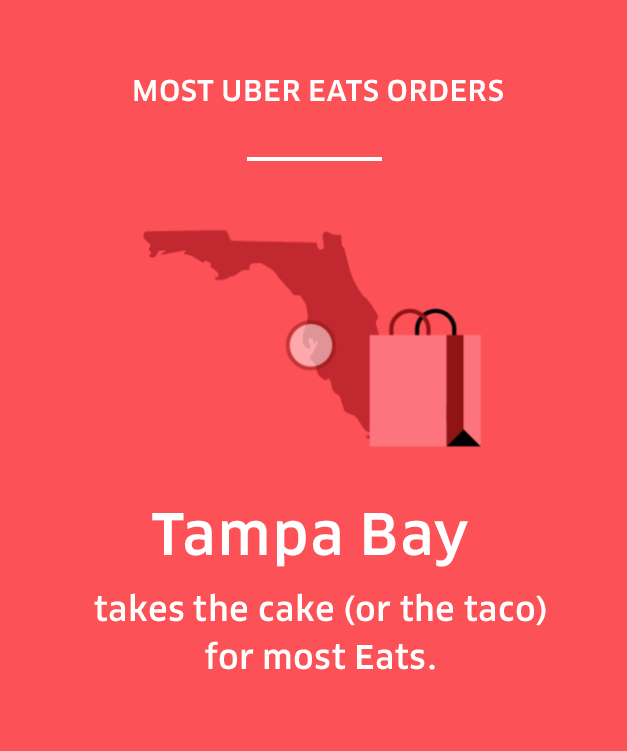 With Uber Eats you tap your phone and your favorite food shows up at your door. What’s not to love? Here’s what people around the country were ordering in 2017. While most of the trips taken with Uber are in regular vehicles, we always like to surprise and delight our riders and drivers. Here are a few of the exciting options people had throughout the year. 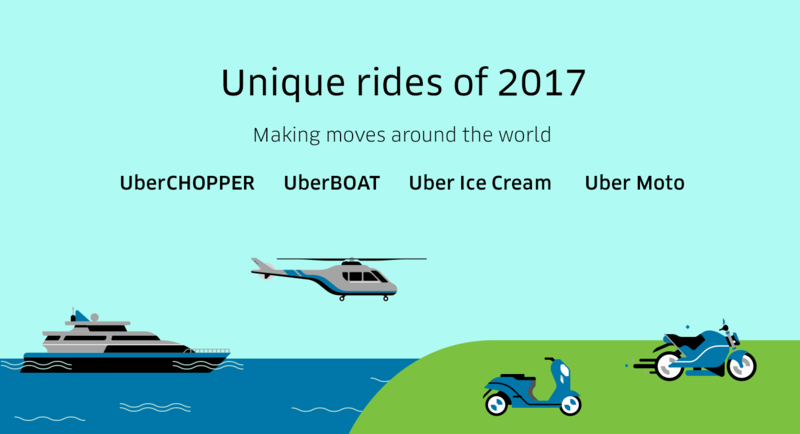 It’s been our pleasure getting you from point a to point b (in a car or a helicopter) in 2017. Happy New Year!